This Chris' EXCLUSIVE screen printed design will make you feel groovy! 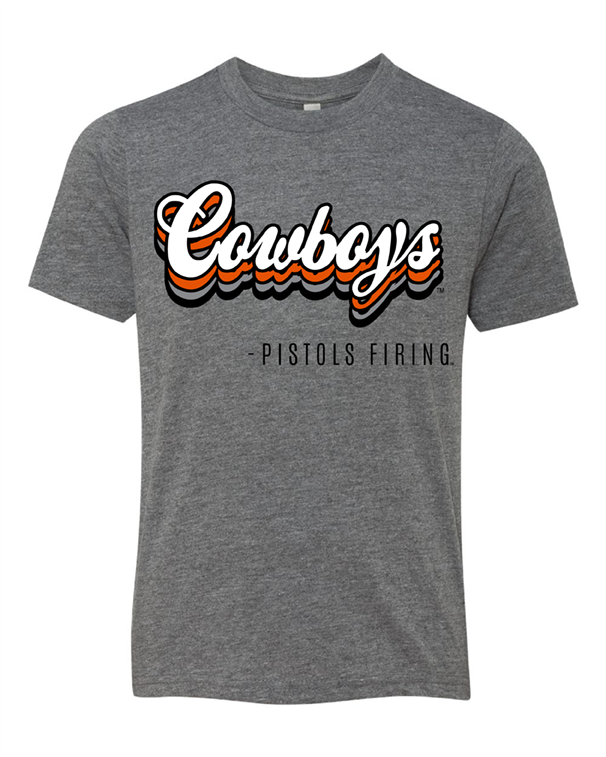 Features Cowboys and "Pistols Firing" below. 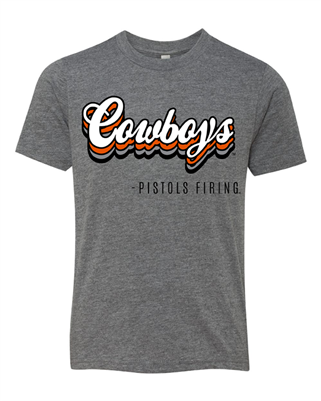 This shirt is a tri-blend with soft feel.